As ever, I'm dreadfully behind on the guest photo front. Thanks to everyone who sends them and I'm sorry if I forget to post them. Above is Malama from Greece. The first guest photo from Hellas! Nice one. Looking sharp and lovely. David Jensen on his Kronan in Chicago. Danish name, Swedish bicycle. We're loving it. And this one was sent in by another David, this time in Toronto. 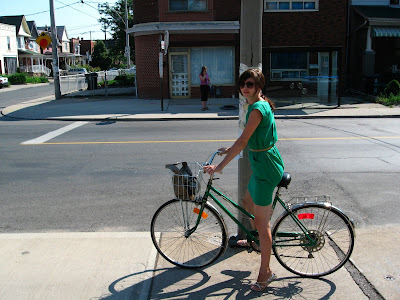 Angella in her splendid green dress on her bicycle named 'Bicyclette'. You'd fit in quite nicely. 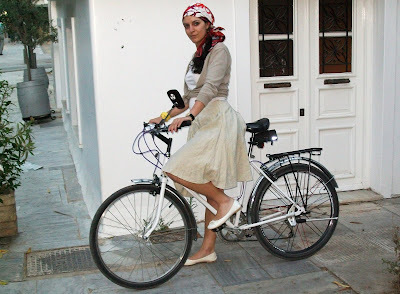 Love how Angella's dress is colour coordinated with her bike! Two thumbs up! 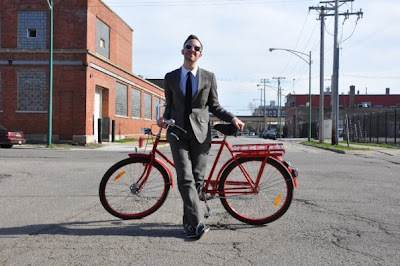 How pleasant to meet another Chicago cyclist with chic passion. Glad you dig the photos. Thanks for the heads up about the race! I'll be there with (bike) bells on. I'm always searching out fun rides in the midwest and this one sounds right up my alley. I'll see you there! p.s. - i LOVE Let's Go Ride a Bike. super fun! Rest assured, I'll be passing your blog along to friends. first time poster and i had to comment on the last pic. I'm pretty sure I met you and your Kronan at the Foodsmart on Armitage near Humboldt a few months ago. Glad to see it's getting some use; a deck whip, for sure! That style ride sounds fun, Dottie. I will try to turn up. I love how the comment section of CCC is connecting up Chicagoans. i do recall the conversation. 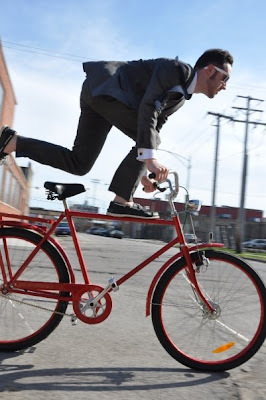 you should definitely do the Wicker Park dapper ride. i know i'll be there. indeed. hooray for chicago cyclists coming together! this isn't hijacking! this is the Cycle Chic café! Come on in, have a seat, have a chat. It's great! That's a fabulous bike there that David is riding! And he looks very good on it, nice suit and glasses!